Interpreter Takes Single instruction as input . 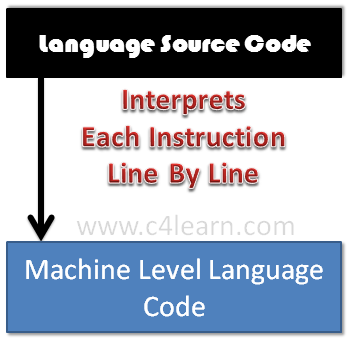 The interpreter can immediately execute high-level programs, thus interpreters are sometimes used during the development of a program, when a programmer wants to add small sections at a time and test them quickly. In addition, interpreters are often used in education because they allow students to program interactively. PRINT "Hello, "; Name$; ". How are you today?"